Many versions and interpretations of what kind of President Barack Obama has been and what legacy he leaves will be forthcoming. In my observed opinion, he is neither the best nor worst of Presidents. He came in on the cusp of an economic disaster wrought of record corruption stemming from finance deregulation; a burst real-estate bubble built on shoddy deals and financial games including the creation and selling of bad debt. These practices would have been illegal prior to the repeal of the Glass-Steagall Act which separated and restricted affiliations between banks and investment institutions. Our country's spirit along, with its economy, had also been drained by the illegal and ill-considered invasions of Iraq and Afghanistan on borrowed money amid record tax breaks. Our nation had been shamed by practices of torture and human rights abuse. Obama campaigned for office on changing that. 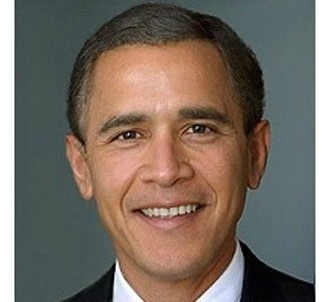 His landslide election was a repudiation of the failed neoconservative leadership of the Bush years. Obama did, at least officially, put a stop to torture, though it has continued to a degree in secret prisons around the globe and at our gulag in Guantanamo, Cuba which he promised to shut down. He has to his credit reduced the population of prisoners there against stiff opposition. As David Bromwich writes in Harper's Magazine, Any summing-up of the Obama presidency is sure to find a major obstacle in the elusiveness of the man. He has spoken more words, perhaps, than any other president; but to an unusual extent, his words and actions float free of each other. He talks with unnerving ease on both sides of an issue: about the desirability, for example, of continuing large-scale investment in fossil fuels. Anyone who voted twice for Obama and was baffled twice by what followed — there must be millions of us — will feel that this president deserves a kind of criticism he has seldom received. Yet we are held back by an admonitory intuition. His predecessor was worse, and his successor most likely will also be worse. Though I thought initially that Obama came in with good intentions, he quickly showed himself to be corporate a centrist lacking intent or direction. His stated agenda was to bring an end to the wars begun by Bush. He was ill prepared for and not expecting the kind of resistance he has had to deal with from Republicans. He naively expected that once elected, a degree of good will would follow. But as we know, a cabal of Republican leaders met even before Obama was sworn in and agreed on a plan to obstruct him on every issue. No President has had to deal with the kind of obstruction he has faced since day one. We can now hope that obstruction and defiance will continue with the Trump Presidency. In response to the corruption of Wall Street finance which wrecked our economy, Obama continued the bailout begun by Bush and went a step further in passing the Dodd-Frank Finance Reform and Consumer Protection Act. This legislation was instantly attacked and continues to be undermined by an army of lobbyists working for big finance houses like Goldman Sachs – at least nine lobbyists per Congressional representative with an unlimited financial arsenal. Dodd-Frank is in no way as effective as would be reinstating the protections against corruption provided by Glass-Steagall. Banks remain larger and more powerful than ever and continue with many of the same practices that crashed our economy in 2008. President Obama is rightly credited for slowing the collapse of the economy. Unemployment has officially reached a 9-year low. The reality is that jobs remain scarce and wages inadequate. Though a far worse depression was averted, most economists agree that a larger spending package aimed at more than bailing out Wall Street and the auto industry would have been more effective. The economy has recovered for those at the top but it remains stagnant at best for the rest of us with 50% of working Americans at the poverty level. The vast divide between extreme wealth for a few and massive poverty has continued to grow during his tenure, reaching historic levels. On the more damaging side, President Obama continues to push the Trans-Pacific Trade agreement which will hurt working people and cede national autonomy on labor and environmental laws to international corporate tribunals. This along with the Transatlantic Trade and Investment Partnership (TTIP) and the Trade in Services Agreement (TISA) would be disastrous to our economy and a mortal threat to government-run services and public infrastructure from utilities to the Post Office. These pacts follow and build on the disastrous trade deals passed by the Clinton administration that still hurt us today and are a large part of the reason for the rust belt rebellion which cost Clinton the election. Where climate change and ecology are concerned, Obama, as journalist David Bromwich noted, speaks out of both sides of his mouth. On one hand, he acknowledges the seriousness of this issue imposing stronger limits on carbon emissions with his Clean Power Plan which aims to reduce carbon emissions by 32% by 2030. On the other hand, he pushes an “all of the above” policy increasing oil and gas drilling, shale oil projects and intensive fracking. To his credit, Obama did finally nix the XL Pipeline. He has also overseen the largest expansion of public land of any President, designating 3 new parks; Mojave Trails, Sand to Snow and Castle Mountains national monuments. To his discredit, he has allowed oil drilling and fracking on federally protected public land. The promotion of fracking may be one of the worst legacies Obama leaves us. This dangerous process destabilizes our geography resulting in earthquakes. It seeps methane into the atmosphere where it is the most dangerous of greenhouse gases. It poisons our deep aquifers – possibly forever, and continues to poison many communities. I was horrified to learn that recycled fracking water contaminated with toxic chemicals like benzine, petroleum, acetone and methylene chloride are being sprayed on crops in California. Chevron sells this stuff to farmers struggling with drought for half the price of water. Those Halos glowing in the produce section and those “organic” leafy greens beckoning like sirens are a toxic legacy that will haunt us for years with unknown costs to our health. Speaking of health costs, Obama ushered in a complicated version of insurance reform, “Obamacare” largely written by the insurance and pharmaceutical industries which has increased coverage to many and reduced costs for some. It is an important effort, though it leaves many without coverage and many others with coverage they cannot afford to use due to high deductibles and drug costs. At the time this was in discussion, people advocating for a simpler single-payer version were escorted out of public hearings by police for mentioning it. This was an indication of things to come. The Obama administration has been hardest, at least domestically, on whistleblowers and truth telling journalists. As CNN's Jake Tapper accurately stated back in 2014, The Obama administration has used the Espionage Act to go after whistleblowers who leaked to journalists ... more than all previous administrations combined. Truth tellers like Edward Snowden, Chelsea Manning, John Keriaku, Stephen Kim and Jeffrey Sterling have been prosecuted. All have served jail time with the exception of Edward Snowden who remains in exile for the crime of exposing government abuse and wrong-doing. Punishment is not evenly applied where leaking or mishandling classified information is concerned. General Patraeus and Hillary Clinton get off with minor wrist slaps. At the same time, for intelligence workers, simply going to one's superiors to report abuses can result in dismissal, arrest, and frozen bank accounts. We witnessed during this administration the crushing of the Occupy encampments, the escalation of racist militarized police violence as well as the metastasis of the intrusive power of the CIA and National Security apparatus Edward Snowden exposed. President Obama has, to his credit, been somewhat more reluctant than his predecessor and his advisers, including Secretaries of State John Kerry and Hillary Clinton, to engage troops in battle and to initiate foreign interventions. Though he ran promising to end Bush's wars and bring our troops home, he continued our presence in Iraq and in Afghanistan – now our longest historic war. He also oversaw the overthrow of Qaddafi in Libya followed by the continuing anarchy of warlords. In the recent past, we also initiated a coup in Ukraine helping to install an overtly fascist junta. We continue to amass military weapons on the border of Russia and are increasing a military presence in Asia. Obama takes credit for killing Osama Bin Laden. As investigative journalist Seymour Hersh revealed in his in-depth exposé published by necessity in England, Bin Laden was an unarmed, ill old man under house arrest in Abbottabad, Pakistan. It was an organized hit for publicity, making sure Bin Laden would not be put on trial or speak publicly. It played much better to American audiences than to Pakistanis already upset by our drone presence and assassinations in their country. Obama's most important legacy may well be the official codification of global political assassination and his use of drones. Barack Obama is the first President with an official “kill list” reviewed regularly. An excellent book, The Assassination Complex: Inside the Government’s Secret Drone Warfare Program by respected investigative journalist Jeremy Scahill deals with this reality and its implications for the future in detail. In an interview on DemocracyNow! Scahill states, What the Obama administration is doing right now is basically trying to rebrand and engage in historical revisionism about what is going to be one of the most deadly legacies of the Obama era, and that is that somehow they came up with a cleaner way of waging war. I would say that the most significant aspect of what President Obama has done, regarding drones and regarding the so-called targeted killing program around the world, is that Obama has codified assassination as a central official component of American foreign policy. He has implemented policies that a Republican probably would not have been able to implement, certainly not with the support that Obama has received from so many self-identified liberals. Though the murder of women and children, of families, as well as of suspected militants, their relatives and unfortunate bystanders is poorly reported if mentioned at all in our press, it creates immense geographies of fear and resentment. It fosters political destabilization of dangerous, and in Pakistan's case, nuclear states and it creates enemies. As Scahill notes, What you really see come through in the military’s own assessments of the drone program is that the U.S. is creating self-fulfilling prophecies. Rather than stopping terrorism, the U.S., through its drone program, is encouraging terrorism and providing terrorist organizations with recruitment material. Our use of killer drones also opens up the very real possibility that they will be used here by other countries as well as by our own government. In the final analysis, President Barack Obama was an inexperienced centrist not equipped to play the hard politics of standing up to corporate influence, neo-con militarists, or the organized resistance of the extreme right, too often preferring the path of least resistance. His policies, more often than not, are superficial bandaids that make better publicity than they do progress. His staff choices, people like Rahm Emmanuel, David Petraeus, Janet Yellen, John Kerry, and Hillary Clinton reveal his conservative corporatist leanings as does his vocal defense of American exceptionalism – of empire. Though he is likeable and quick on his feet, an ideal talk show host, he has been a weak often indecisive leader in tough times. His legacy of codifying drone assassination, of expanding the powers of the Presidencey, of solidifying corporate power, the growth of an intrusive National Security State and the poisoned earth left by fracking will continue to haunt us for the foreseeable future. Danny Haiphong has an informative series of articles on Obama's legacy on Black Agenda Report.